French macarons are elegant, delicious cookies made from egg white meringue and almond flour. The delicate macaron shells are sandwiched with any number of creamy decadent fillings, like salted caramel or dark chocolate ganache. An, as a bonus, they are naturally gluten-free! 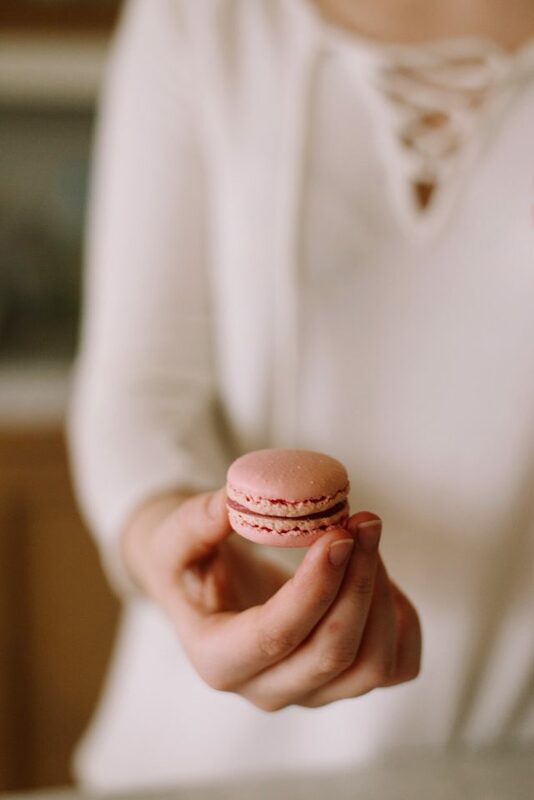 You may have heard that French macarons can be a bit tricky for first-timers — but I’m here to tell you that you can totally do it! 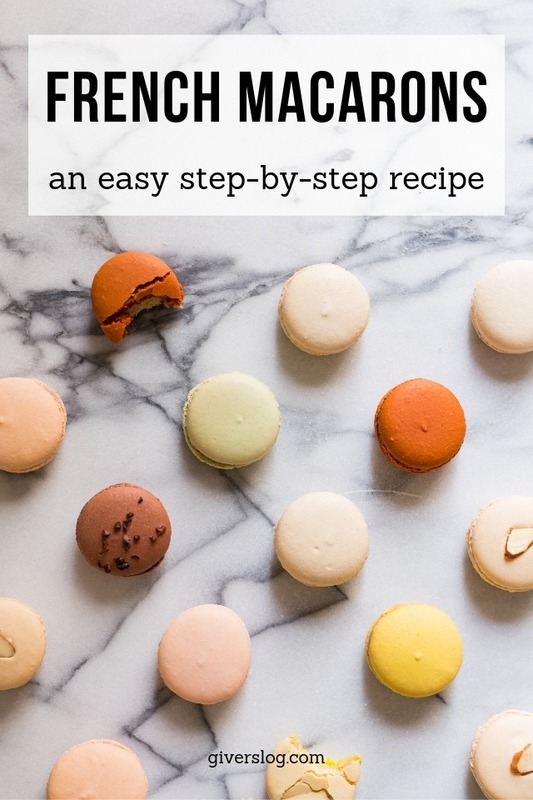 So, read on to learn all of my tricks and techniques so that you can make perfect French macarons like a pro. Macarons are beautiful. They’re delicate. They’re supremely delicious. But are they really so hard to make? Are Macarons hard to make? Some people can get intimidated by French Macarons, and even avoid trying them, because of their reputation as one of the trickiest cookies to master. 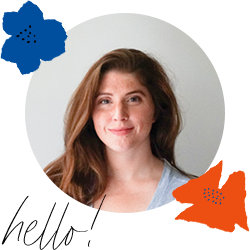 And, you know, with all the complicated blog posts out there, I can completely understand that feeling of intimidation! But hey, at the end of the day, we’ve got to remember they’re just cookies! And cookies are meant to be eaten and enjoyed — not feared or stressed over. So, I want to encourage you to try to make macarons. Because even if your macarons “fail” — if they crack, or stay hollow, or have wonky feet — you’ll still end up with a batch of ridiculously tasty cookies. Now that we’ve got that out of the way, let’s talk about how French Macarons taste and what makes them so wonderful. Great French Macarons cookies have two crisp shells sandwiching a flavorful filling. The cookie shells themselves should have a thin, crisp crust around a layer of moist almond meringue. The cookie’s texture beneath the crust should be light and little chewy. These two shells are sandwiched around a center of smooth filling — like buttercream, ganache, or fruit jam. The filling should be smooth, somewhat firm, and should extend to the edge of the cookie shells. Alternatively, you can place a printed template underneath the piece of parchment paper. Use the template as a visual guide while piping, and slide it out to remove it before baking the macarons. Sift the Dry Ingredients. If you use finely ground almond flour, which I recommend, simply sift it with the powdered sugar and set aside. If you are starting with whole nuts, or almond flour too coarse to go through your sifter, you’ll need to grind it in your food processor. To do this, process the almonds and powdered sugar together for about a minute. Sift the ground almonds, and re-process whatever pieces are still too big to pass through the sifter. Repeat as needed until the almonds are processed into fine flour. Then, in the bowl of a stand mixer, combine the egg whites, granulated sugar, pinch of cream of tartar, and salt. Whip on medium speed for 3 minutes, until foamy. Increase the speed to medium-high, and whip for 3 minutes, until soft peaks begin to form. At this point, you can add the vanilla extract and gel food coloring, if desired. Then, turn the mixture up to high speed, and whip for another 3-4 minutes, until the meringue forms very stiff peaks. Mix the Macaron Batter. Add the dry ingredients to the meringue. Use a spatula to fold, or turn, the dry ingredients into the stiff meringue. The mixing process, aka “macaronage”, has two objectives. The first is to is to use a folding motion of the spatula to combine the wet and dry ingredients. The second is to use a smearing motion to slightly deflate the egg white meringue against the side of the mixing bowl. You do need to deflate the egg whites slightly to achieve an appropriately mixed batter. So yes, be careful in the mixing, but know that you do need to knock some of the air out the egg whites to achieve a batter that “flows like lava”. At first, it will seem like the dry almond flour mixture will never incorporate into the stiff egg whites. Keep folding. After 20 folds or so, the batter will be a bit lumpy and stiff, but all of the ingredients should start to come together. After another 20 folds or so, the batter will still be thick, but smooth fluid enough to “flow like lava.” You are looking for a texture that has enough body and thickness that the piped batter will form mounds on the parchment paper, but will enough fluidity that any peaks left by the piping tip will melt back down, leaving a smooth and shiny top. To test the consistency of your batter before filling your piping bag, drop a small spoonful of the batter on a plate. If after 20-20 seconds, it settles down into a smooth blob, you are good to go. If it oozes everywhere like pancake batter, I’m sorry, but you’ve overmixed. Here’s another chance to check the consistency of your batter. For me, a correctly mixed batter will just start to ooze out of the tip when the bag is filled. If the batter stays stiff inside the bag it is undermixed. If it drips out like pancake batter, it is overmixed. Pipe the Macarons. Hold the filled piping bag vertically, and apply gentle pressure to dispense enough batter to make a 1 1/2 ” circular cookie. Continue to pipe the batter onto the baking sheet, following the pre-traced circles or printed template under the baking sheet. Stop piping just before the batter reaches borders of the circle, as the batter will continue to spread a bit after you stop piping. 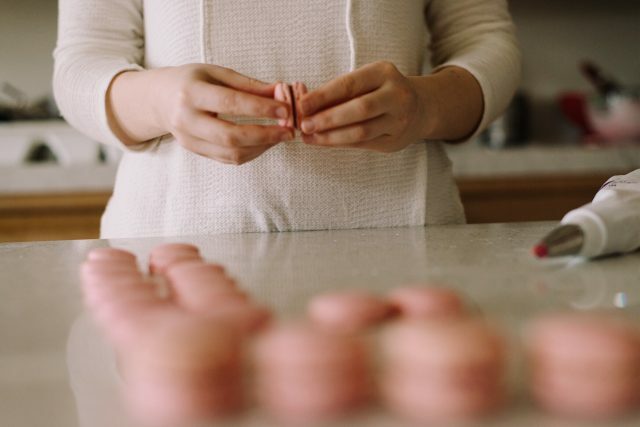 To finish piping, stop applying pressure and pull the bag up while moving it in a swift circular motion (This helps to avoid having a peak or a point on the tops of your macaron shell. Remember that correctly mixed macaron batter is somewhat fluid, and will drip out of your piping bag if left unattended. So you’ll need to move quickly and carefully to the next circle. Then, repeat until you’re out of batter. Bake the Macarons. Before baking, tap the bottom of each cookie sheet firmly on your countertop to release any trapped air bubbles. Let stand at room temperature for 30 minutes while you preheat the oven. 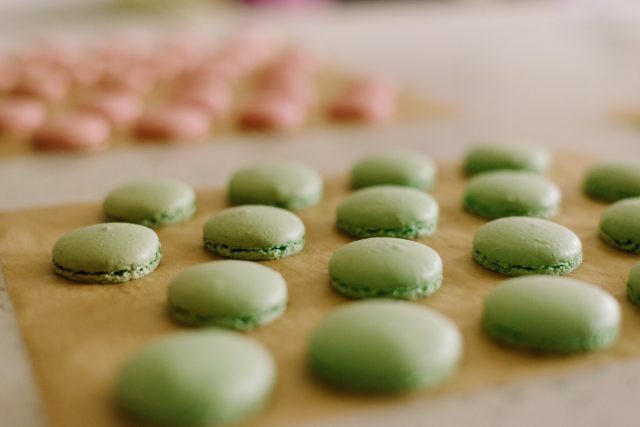 While not strictly necessary, I find that the resting process helps the macaron shells form a slight dry skin on the surface, so that during baking the macaron batter can puff up underneath the shells, and form the “foot” at the bottom. Preheat the oven to 300°. Remember to double check the temperature of your oven with an oven thermometer. Bake for 18-20 minutes, rotating the pans halfway through the baking time, especially if your oven has hot spots. Remove from the oven when they are fully baked, but before they have browned. To test if your macarons are done, you can try to peel one of the corner macarons off of the parchment paper. If you can cleanly remove a macaron, they are likely done. You can also cut one of the edge macarons in half, and evaluate the doneness of the inside. You are looking for a set, moist interior — but not liquid or runny batter. Remove the baked macaron shells from the oven and cool thoroughly on the pans. Once cool, carefully peel the macarons away from the parchment. If they are sticking, you can use a metal spatula to help remove them. If they are really sticking, you can try resting the whole sheet of macarons, parchment and all, on top of wet paper towels. After 15-30 seconds, the water from the paper towels should help release the macarons from the parchment. Fill the Macarons. With another pastry bag filled with the filling of your choice — chocolate ganache, buttercream, or jam — pipe a quarter-sized amount of filling onto half of the shells. Then, sandwich them with their matching halves. 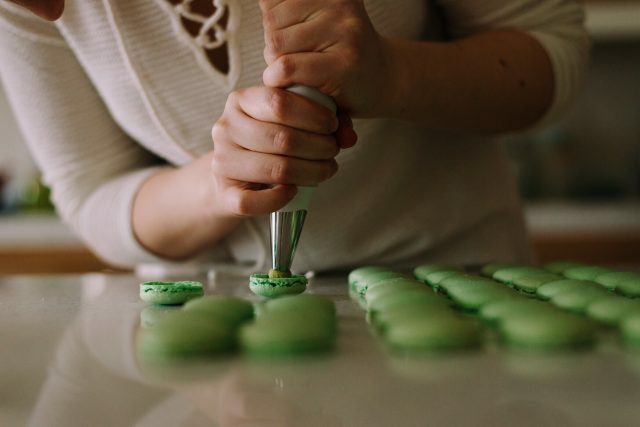 Before you begin, here are some tried and true tips for making French Macarons. Did you know: most home ovens run between 15 and 20 degrees above or below the set baking temperature. Chances are, your oven is different than mine, which is different from the many other bakers who have attempted macarons. Grab a decent oven thermometer and you can know for certain that your oven temperature is correct. Use finely ground almond flour (or other finely ground nut flours), but not coarsely ground almond meal. Large particles of almonds can cause cracks in the baked shells. If you are grinding the almonds yourself, take care to grind them to a very fine particle size, and make sure that the resulting nut flour will pass through a fine sieve. That said, don’t skip the sifting step, even if you are using pre-ground almond flour! Yes, measuring by weight is the best way to ensure good results. A quality kitchen scale is easy enough to find for less than $20, and is one of my most recommended baking tools. Using measuring cups is not very accurate, because different people can pack different amounts of ingredients into the cups. So, set yourself up for success, and use a scale. So, try not to under or overmix your batter. Fold with a rubber spatula, and be sure to scrape the sides of the bowl with your spatula to ensure that every bit of the egg white is incorporated into the mixture. If you’re frustrated because you can’t get these little desserts to come out right — they’re either hollow inside, or cracked on top, or have no feet — you are in good company. Myself included. Here are a few things you can try to get that perfect batch. Why Did my Macarons Come Out Hollow? There are a few reasons why your macaron shells may have come out hollow. The most common answer is that the shells were underbaked. Underbaking the macaron shells will result in hollow macarons. The almond meringue inside an underbaked macaron isn’t fully set, so when it’s removed from the oven prematurely, the meringue collapses. As the cookie cools, the meringue collapses, leaving a hollow shell. To test if your macaron shells have finished baking, you can try a couple things. First, look for matte, dry-looking shells. Second, try peeling one of the macarons on the corner of the cookie sheet away from the parchment. It should peel away cleanly without sticking. And thirdly, you can sacrifice one of the macarons shells, cut it in half, and check the inside. It should look set, slightly moist, but not gooey or liquid. Why Didn’t My Macarons Rise? If your macarons didn’t rise, but instead spread out into thin puddles, you most likely overmixed the batter. Why Did My Macarons Crack? 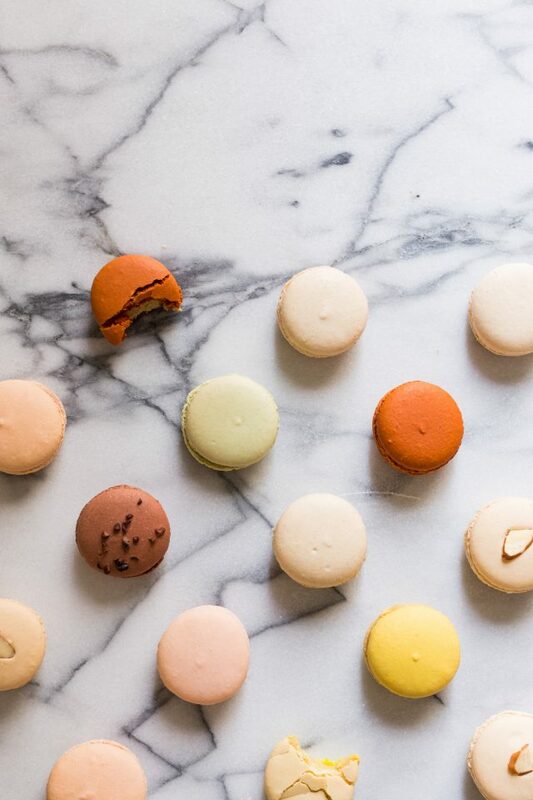 There are a few reasons why your macarons may have cracked in the oven. One, you may have had too large of pieces of almond flour in your batter. Two, you may not have fully incorporated all of the egg white meringue while mixing. And three, your oven may have been too hot! Why Don’t My Macaron Have Feet? If your macaron shells have no feet, try letting them rest for 30 minutes after piping before baking them. The rest time will help the macaron develop a “skin”, so that the steam created by the heat of the oven will exit at the base of the macaron, creating the “feet”. The flavor options for french macarons are near limitless. Flavor options include chocolate, coconut, peanut, pistachio, raspberry, vanilla bean, and many others. Macarons, unlike most other cookies, actually get better with age. A minimum of 24 hours rest time will greatly improve the taste and texture of macarons. The shells soften and become chewier. The cookies and filling meld together, giving a more satisfying bite. So, while you can eat them right away, don’t be afraid to store them refrigerated in an airtight container. You can refrigerate them for up to a week. Macarons also freeze really well! They are great to make in advance for a party. You can freeze them for up to two months. When you are ready to serve them, set them out at room temperature for an hour or two before eating.